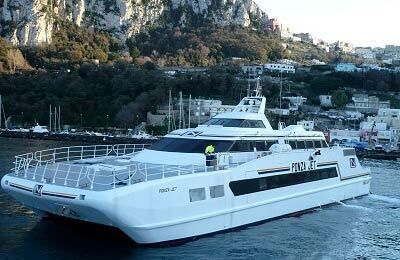 Book Ferries to between Italy and Capri Island with AFerry.co.uk - Napoli and Capri! You can use AFerry to book Navlib ferries to Italy and Capri Island. 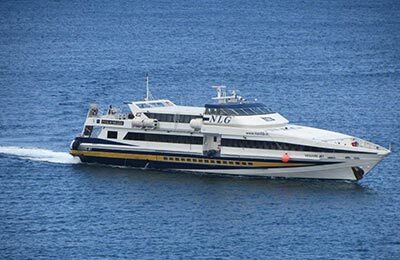 Navlib operates 12 fast ferries in total. AFerry always has cheap prices for Navlib ferries and the latest special offers. 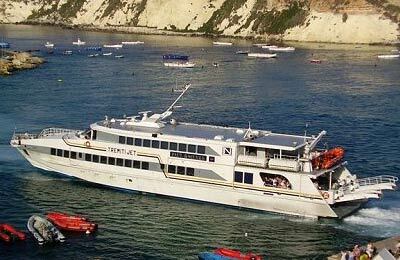 Find Navlib Ferries to Amalfi, Capri, Napoli, Ponza, Positano, Terracina, Termoli, Sorrento, Vieste, Vasto, Ventotene, San Nicola Tremiti and San Domino Tremiti with AFerry. See below for Navlib ferry routes and the latest prices and sailing times. Click on a ferry route for a detailed Navlib ferry timetable. The current Navlib fleet is made up of 10 hydro-propelled jets and 2 catamarans. There is plenty of seating available on board each vessel allowing you to relax and enjoy the view. Whichever route you choose with Navlib Ferries you will travel in comfort knowing that you got a great deal with AFerry. How long before departure should I arrive for Navlib? Absolutely fabulous and super easy from the Cruise Terminal. The price is cheap the ferry is quick. My Italian is not great but everything went smoothly enough! With these ferries you enjoy the destination more than the trip. Get on and go! No issues watsoever.